You asked for it and now it's here! 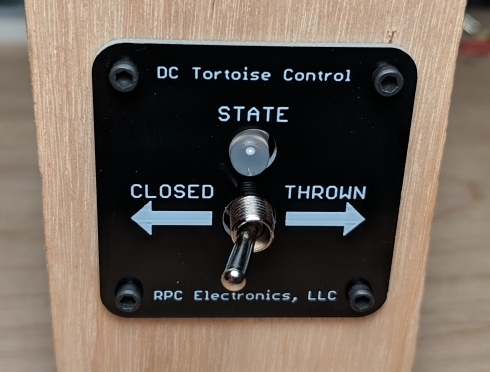 This is our Tortoise DC Control panel. Designed from the ground up with layouts and panels in mind. 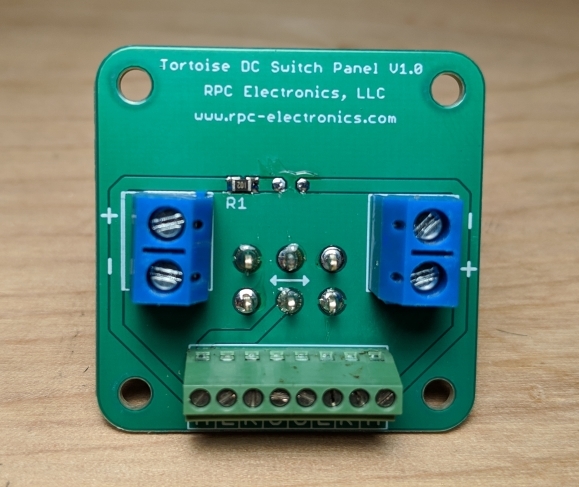 Our control panel will control a single Tortoise switch machine using simple +12VDC. 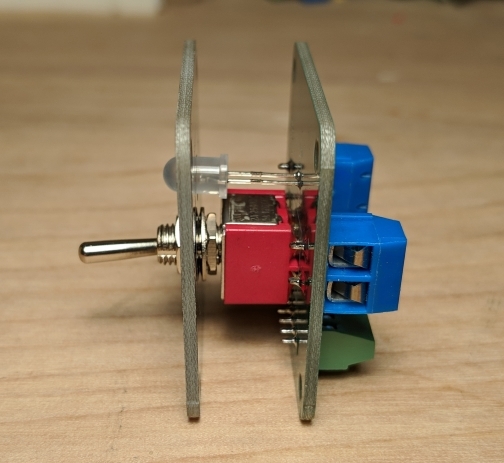 When wired correctly, you get simple toggle switch control of the turnout, as well as red/green LED feedback of the position. 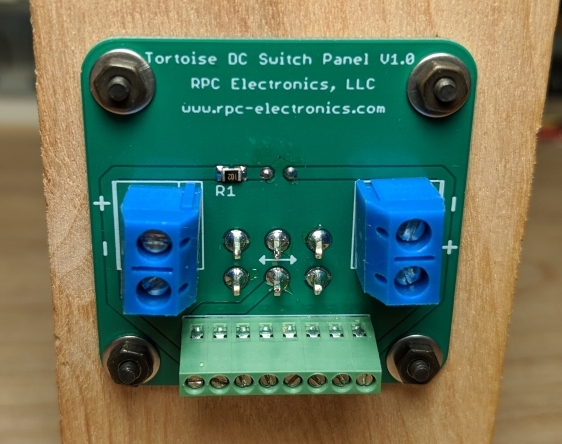 The LED is controlled by the internal DPDT switch inside of the Tortoise. So it's won't change state until the Tortoise has physically moved position. Rear panel terminal blocks for daisy-chaining the control panels together. All solderless connections make wiring a snap! Designed to fit in a 1/2" panel using only a single 1" hole. Fascia plate for those who want a complete look right out of the box. Available without fascia plate for those who want to install into a custom panel. 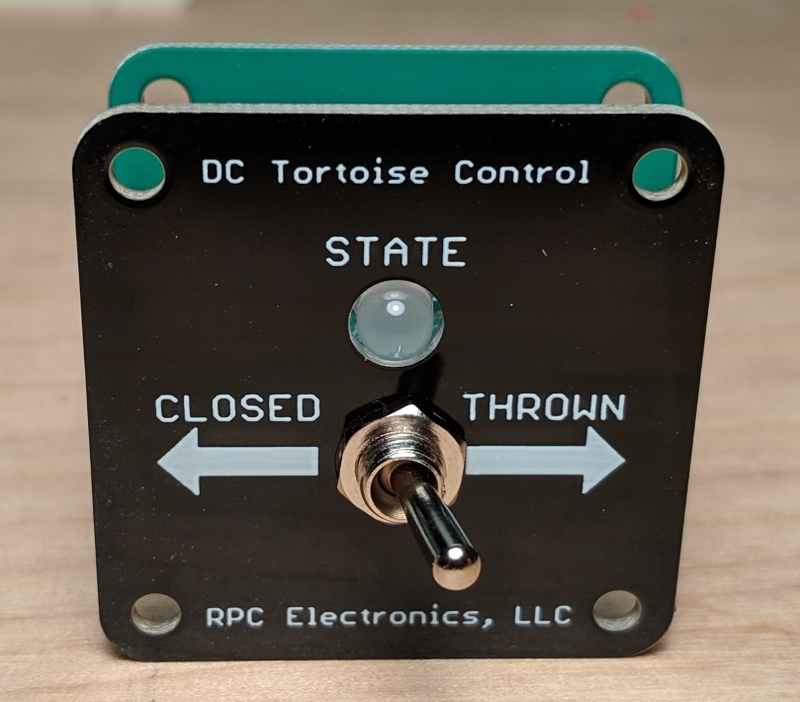 The Tortoise DC Control Panel is small. 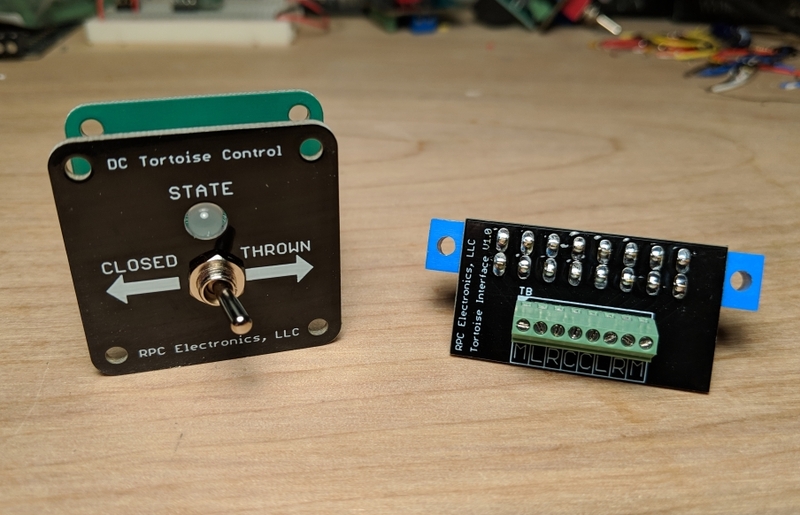 Easily place them side by side for controlling multiple switch motors in a single area. The backside has parallel DC power terminal blocks (Blue) for feeding power to the switch motor as well as providing pass-through power to the next unit. The 8 position terminal block (green) is a pin-for-pin match with our Tortoise Interface module. 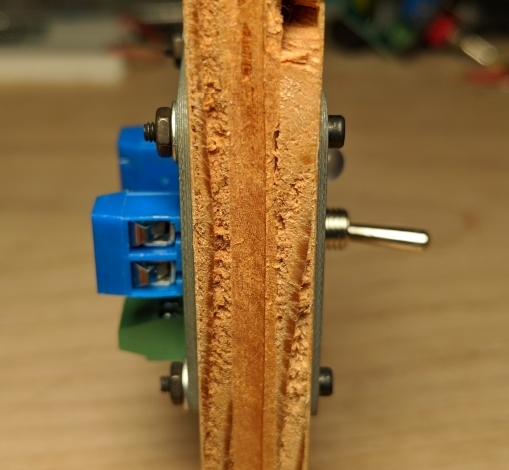 Spacing between the control board and the fascia plate is optimized for 1/2" plywood bench work.